Economical landscape fabric. Packaged with special Agway labeling. 3ft x 100ft roll. Quality spunbonded polypropylene construction. Easy to use. Stops weeds. Use around vegetables, flower beds, shrubbery and trees for a chemical-free weed control. Guaranteed to last 5 years. Economical landscape fabric. Packaged with special Agway labeling. 3ft x 50ft roll. Quality spunbonded polypropylene construction. Easy to use. Stops weeds. Use around vegetables, flower beds, shrubbery and trees for a chemical-free weed control. Guaranteed to last 5 years. Economical landscape fabric. Packaged with special Agway labeling. 4ft x 100ft roll. Quality spunbonded polypropylene construction. Easy to use. Stops weeds. Use around vegetables, flower beds, shrubbery and trees for a chemical-free weed control. Guaranteed to last 15 years. Economical landscape fabric. Packaged with special Agway labeling. 4ft x 50ft roll. Quality spunbonded polypropylene construction. Easy to use. Stops weeds. Use around vegetables, flower beds, shrubbery and trees for a chemical-free weed control. Guaranteed to last 15 years. 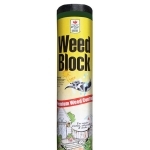 WeedBlock stops weeds for years. 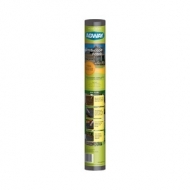 Use on permanent landscape and garden areas, under patios, sidewalks and decks. Lasts up to 4 times longer than other brands. The number one fabric selected by consumers. Saves time. Chemical free weed control. Patented Microfunnels block weeds but let air and water penetrate. 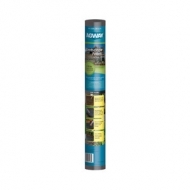 Easy Gardener 3 ft. x 50 ft. Weedblock - Landscape fabric for permanent weed control, patio stabilization, drainage, and septic tank use. 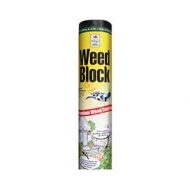 Stops weeds but allows air and water to penetrate through. Tiny holes in fabric let water through as fast as soil can absorb it. Lasts for years in direct sunlight. 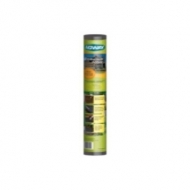 Helps conserve moisture and prevents soil from souring. 3 ft. x 50 ft. package.